On Tuesday the county failed to pickup 2 large areas of dry trash sitting by the curb on Franklin Creek Rd S. It looks like it has been there for a while. Heard a somewhat loud noise (louder than opossum or raccoon) and looked in the yard. There were 3 or 4 Armadillos in our yard trying to dig holes. Could we please get a trap or two? 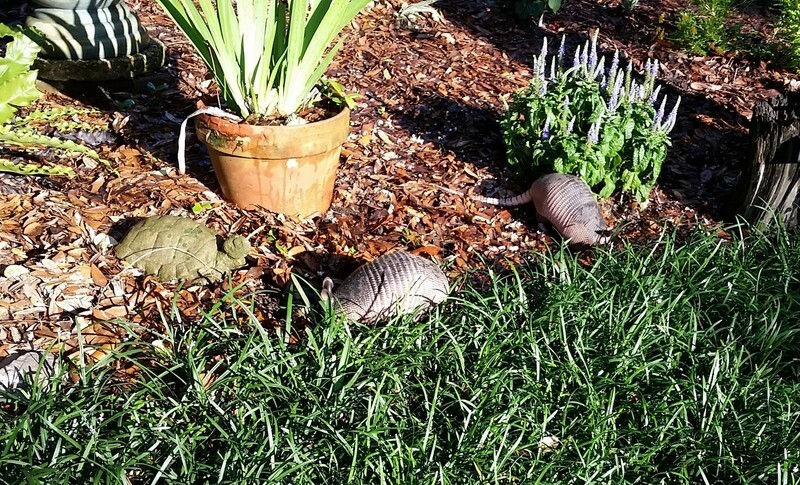 4-5 armadillos are residing in the common property behind 50 Delegal Road. Please inform resident when you set the traps out so he can monitor and report as the armadillos are trapped. 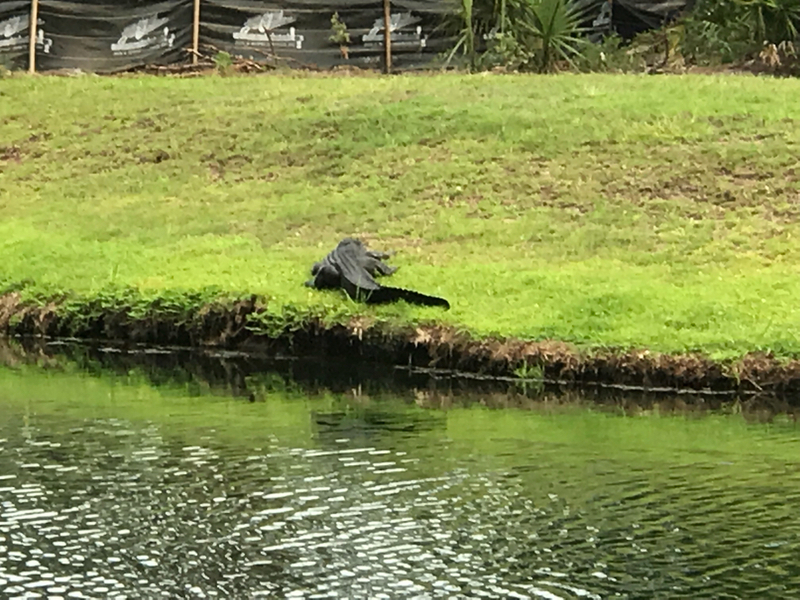 This is a massive alligator, small ones don’t bother me. Deer issue - bucks are coming through yard around 4AM - eating plants they don't normally eat. called resident. Will work that area soon! Resident is having a armadillo issue. They have their own trap if you would like to set it up for them. Thanks for the quick response. John was helpful we found the hole they dug and today we had 4 instead of 2. Resident believes an armadillo is residing on her property - please drop off a trap. looked today found a possible hole under a pine stump. Resident has no grass at all in yard!! !